If you're thinking about getting a home server, why not get a new wireless router instead? Or, if you're thinking about getting a new wireless router, why not get a home server? Wait, you mean I can have both? In one device? That's easy to setup and use? 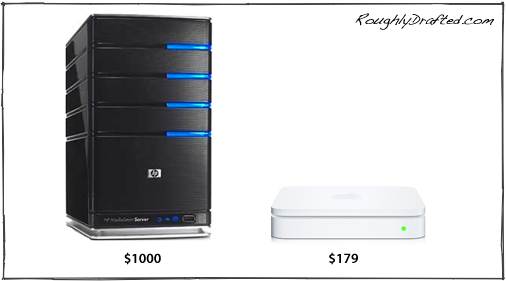 And costs less than $200 (plus some hard drives)?